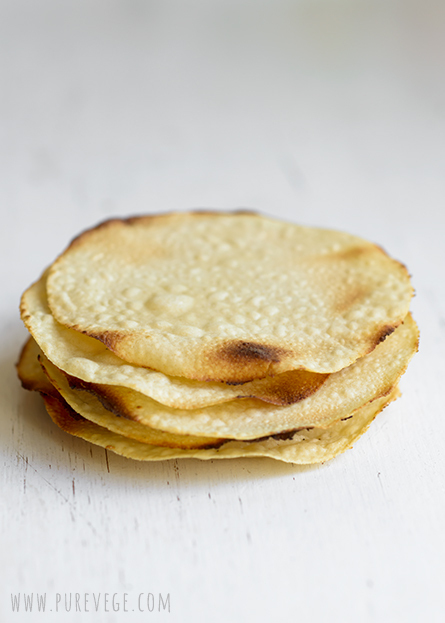 Before starting to prepare for the greatest Bengali Vaishnava festival of the year, Gaura Purnima, which we celebrate this weekend in Finland, under the full moon, I want to rush off a papadam recipe to you. 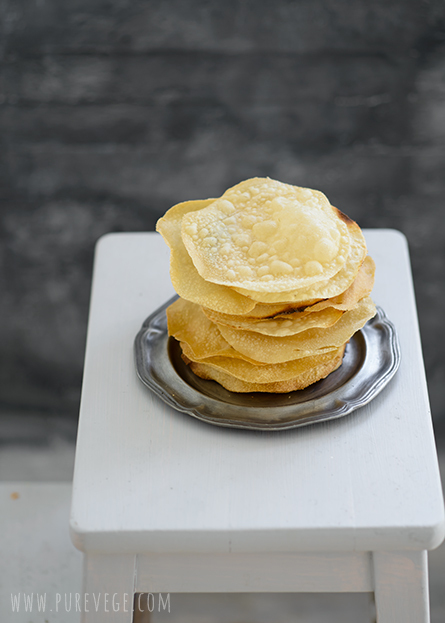 Papads are thin, lentil-based wafers or brittle crackers served as digestives, usually in the end of a meal. Sometimes they are offered as appetizers, snacks or croutons over a bowl of rice, soup or wet vegetable dish. Coming with various flavors – hing, black pepper, chilli, jeera or fenugreek – they are either roasted or deep-fried. Papad making is an old craft still practiced in Indian villages and, if you are lucky, you can see rows of parchment-like flatbreads drying in the sunlight. 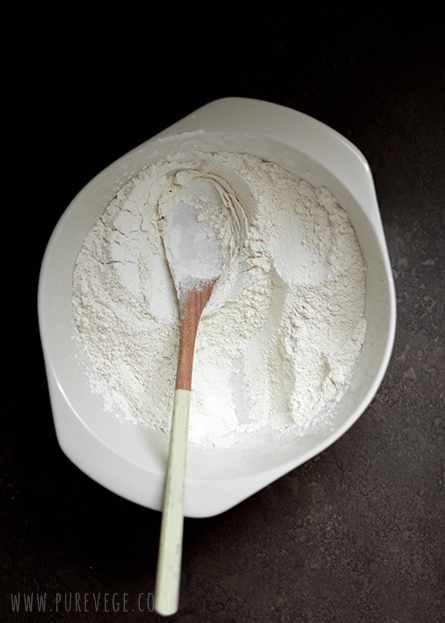 Because kneading and rolling large quantities of them by hand is a laborious task, the tradition has gradually shifted from families and cottage industries to factories. Today, machine-made papadams are commercially available everywhere; therefore, you may ask, what’s the point of making them at home? Isn’t that a regression rather than a progression? Not to me. The title of this blog, Pure, refers to the purity of intent along with the skill of cooking and ingredients. The consciousness by which we produce, share and eat food, yields a long lasting effect exceeding the needs of the belly. What we think, feel and will in the kitchen (or at the table, among our family and friends) influence the quality of life. Sattvik actions – deeds in the mode of goodness – that illuminate and open gateways to the higher stages of experience, always include a proper attitude. It is the mood we actually taste when we put something into the mouth; that’s the dynamic, spiritually potent component that either connects us with divinity or binds us to the dualities of temporary reality. Machine-made, industrially processed food carries a heavy karmic load despite of an attractive packaging. Therefore, it is always better, although perhaps more inconvenient, to cook at home instead of buying ready-made items. There is hardly any information available about the process of making papadams. I have always been under the impression that it’s very difficult (read: impossible) to make them in an imperfect climate and without traditional tools. After a couple of trials and errors, I learnt that the procedure is very easy! 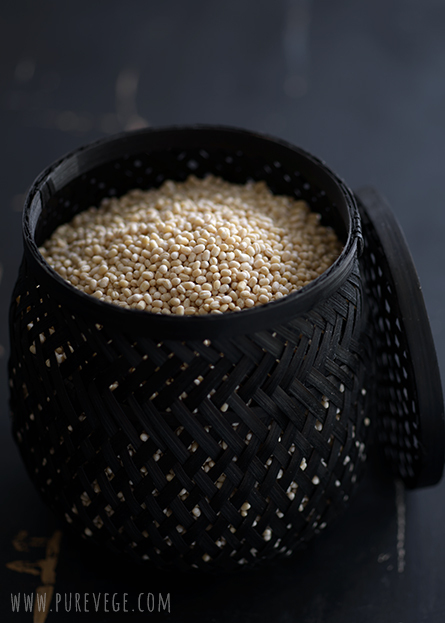 All you need is a cup of whole urad dal (skin removed), salt, baking soda, a flavoring agent, water, and ghee or oil for the dough; a little bit of time for twisting and pounding the dough; an oven for roasting the dal and quickly dehydrating the papadams; and, a stove for frying or roasting. I noticed that split urad dal does not produce a good texture; use whole lentils instead and make sure the expiry date is well ahead! You can mix urad with mung dal, or substitute some of the dal with rice flour. You can roll the papads as thin as you like. 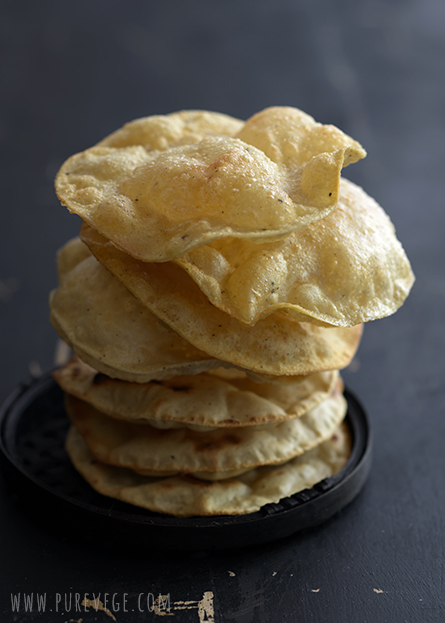 When nearly transparent, tiny air bubbles cover them during frying and roasting; when thicker, they puff like chapatis or pooris. Both kinds are equally crunchy. 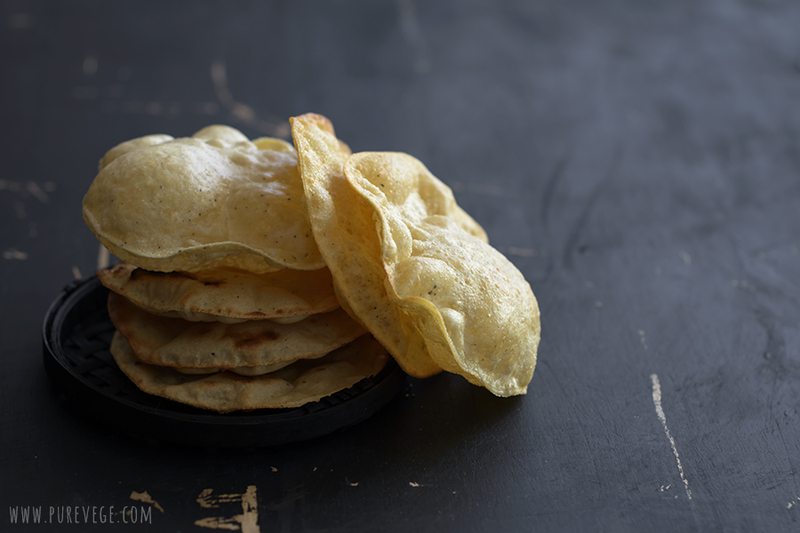 These home-made papads don’t expand like the commercial ones. It is likely due to the lack of an alkaline salt, papar-khar, specifically used in India. An unrelated question to the readers who are using Blogger: During the past year, Blogger has changed some image settings that affect color, contrast, brightness and compression. Is there any way to reverse these effects? It seems they have added some wild enhancement feature while I was away. Grrr! Perfect! Your papadam and recipe are great. Ja na jakości zdjęć ,aż się tak nie znam ,ale znajoma napisała ,że,,Trzeba zapisać jako png, ostatnio blogger zmienia jakość zdjęć dodanych w jpg. Dodanie jako png wiernie oddaje kolory." Wow!! You made papadam at home? Unbelievable. I take so granted that never ever thought about making them at home. Great job. Beautiful. I realy like your new photography style. You perfects your simplicity up to the moon. Even before you have done it I looked at your images and was suprised that photo with so few elements can looks so good. Now there is even less on them and they look great. Soon you will phootgraph only light itself without any subject and it will still looks more than perfect. After all it is "all about light" anyway. CHAPEAU BAS! You always be my food photography master. Hah hah, Cintamani! Yeah, the new style is called no styling. On the next step I stop photographing and the world still looks perfect! Thank you. 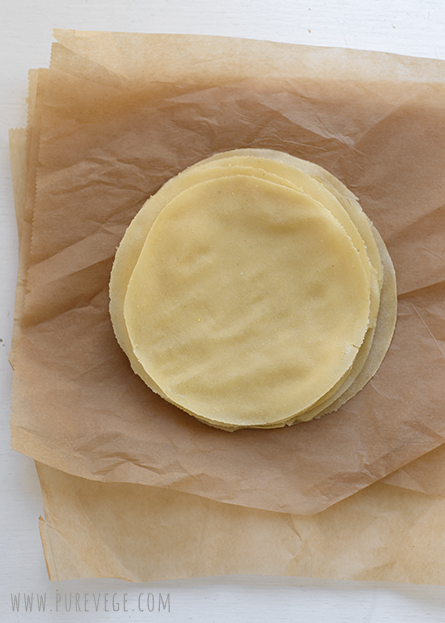 I've been wanting to make papadom for years, and like you, presumed it was tricky without the traditional tools and manners. Now, I look forward to making these. What a great healthy snack for the family. Thanks! I found the solution. Google has introduced an enhancement feature to all pictures on Picasa and you have to register to Google+ to change the setting. It is really a crazy thing and messes up pictures badly. For months I’ve been wondering why the images change as soon as I upload them on Blogger. Thanks Lakshmi, I am not on Google+ and really don't wish to be there. It makes all picasa photos public and then I may have to spend additional effort in putting a privacy on several photos that I may not wish to share. Other than Google+, I m wondering if there is any other way to deal this within Picasa. As absurd as it may sound, unfortunately there is no other way! You can access the settings only through Google+. lakshmi, change the settings in Google+ to "do not auto-enhance photos." Google + >> Home >> Settings >> Photos & Videos (scroll down). Send me an email if you can't find it. Thanks, Steph, for your help. I wasn’t using Google+ and had no idea it even existed, what to speak of knowing there are some settings. wowo you made home made papadoms. Wow Hats off to you. When i was in school and next to the bust stop were we had to take our school bus there was this small house and they were traditional papad makers. And I was always fascinated how they made one after one so easily and then it was all layers outside on big mats to dry. Best papadoms they were as we got for home from them. Must say yours look so good too. Finla, it is true that best things are always fresh. Even papadams that are dry by nature and you would think there’s no difference, are so much better when fresh. Lakshmi loved the photography!! 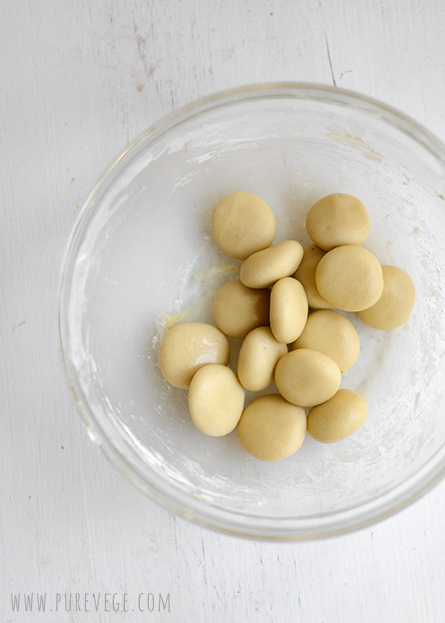 They reminded me of the summer days spent with grandma making all these yum recipes! I'd never thought of dehydrating it in the oven..shall definitely try this!!! You finally did it, didn't you? I was following the conversation in Facebook. They look as good as bought. Your images and writing so so soulful that I keep your blog open all day, like a good book, just to read through it whenever I get time. You gave the humble papadams a royal treatment! Love your blog.